Using BHA or BHC media the RABScreen standard fitment air intake screen is edged with a 32mm vinyl border. This border is punched and fitted with 9.5mm stainless steel grommets to create an easy to fit external filter screen. The fixing methods will vary to suit your application and can use a combination of different fittings if required (see fixings ). We even pattern cut to avoid stanchions.Watch the PreVent video "How to Measure and Install" . Just click the link. Again the standard BHA or BHC media is used but in this instance a galvanised or stainless steel framework is formed around the edges of the media. 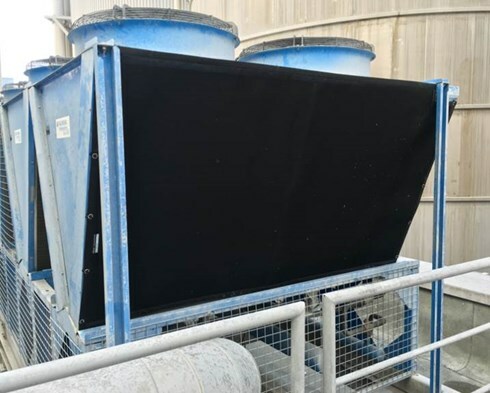 The framework of the RABScreen air intake screen is then fitted with a magnetic strip which will secure to any steel surface. This type is great for smaller openings and for protecting the air intakes of display refrigeration equipment. And with the new MagnaMount™drop tab fixing you can now use our flexible screens as well. 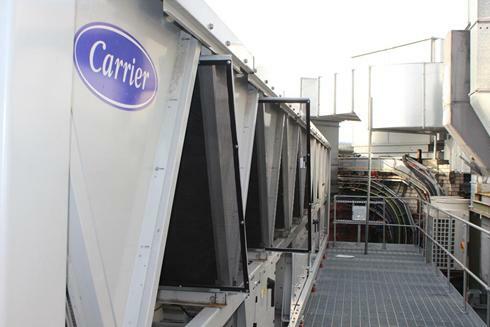 Typically used to protect chiller coils where the it difficult to gain safe access to the coils. A lightweight profile is used to construct a "picture frame" to match the coil face. The RABScreen is then secured to the frame with self-tapping screws. A galvanised profile creates a filter frame for the RABScreen air intake screens to slide or drop in. Great coil protection with easy to access filter media.Many other frame options available. 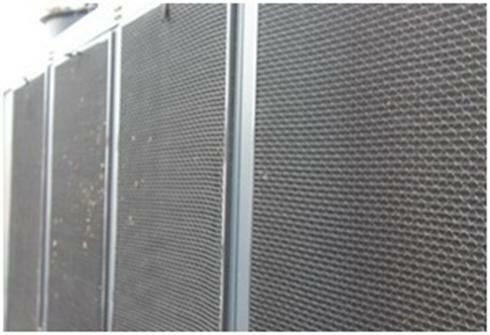 Wrap around RABScreen air intake screens are the most simple to specify and install. They are used to protect standalone condensers where you have one, two or three coil faces. Once we have the overall length and height of the coil faces we will manufacture a filter screen which is then wrapped around and secured with free issue Permatron bungee cords. Easy to fit and easy to remove these filters are an economic solution to AC condenser protection. Now available with the unique MagnaMount™drop tab fixing as an option.